The Marvel Cinematic Universe is a big mystery right now, as the dust (pun intended) is still settling after the wild events of Avengers: Infinity War. The Russo Brothers did the impossible, balancing action and heart for a stunning ensemble project. Fans are waiting to see what comes next with the still untitled Avengers 4 movie, especially since it brings the end to many of the stars’ contracts. Well, that seems pretty cut and dry. While Marvel actors have to be appropriately cagey about most questions, Sebastian Stan pretty much denies that he’ll be taking on a shield and leading The Avengers. Considering the character’s current trajectory, that would stand to reason. 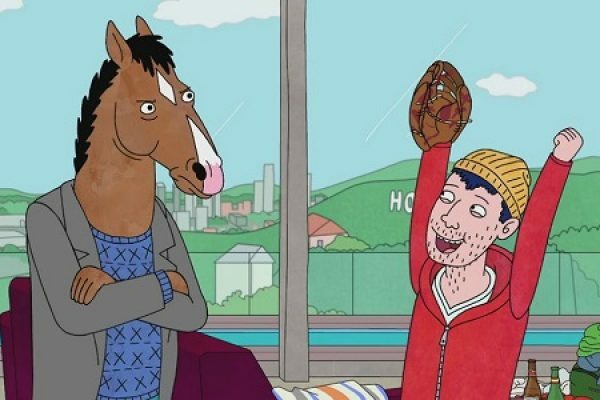 Sebastian Stan’s comments come from his recent appearance on Jimmy Kimmel Live!, and may put to bed some of the myriad fan theories currently flying around about Captain America. Chris Evans has seemingly already said goodbye to Steve Rogers, but it’s unlikely that Marvel Studios would abandon one of its tried and true properties. But that means someone else is going to need to replace Steve as Cap. Bucky Barnes seemed like a prime target, considering his long tenure with the Captain America franchise. 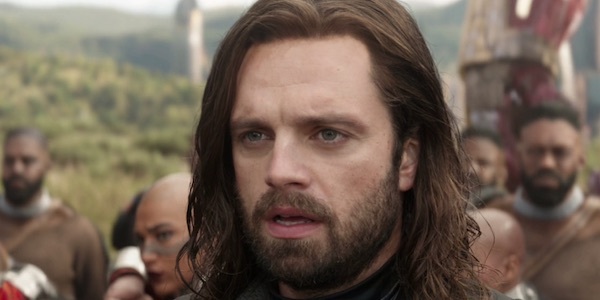 Bucky has been in all three of the trilogy, in addition to his role in Avengers: Infinity War, and brief cameo in Black Panther. He knows Steve better than anyone, and now that he’s free of mind control; it would be the perfect time to the Winter Soldier to take on a new mantle. 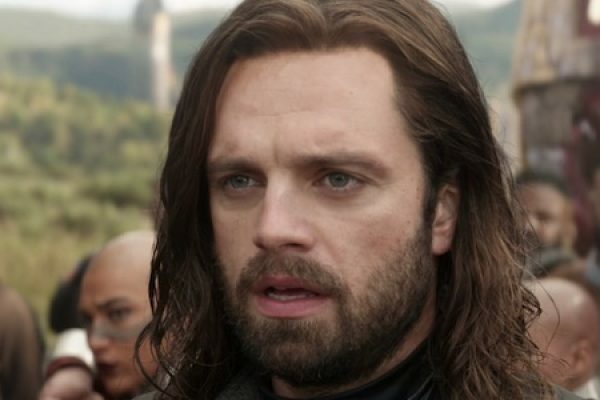 But it looks like Sebastian Stan’s Bucky Barnes will get new life in an interesting way: a possible TV show on Disney’s streaming service, Disney+. The series is set to focus on Bucky and Falcon (Anthony Mackie), as they presumably fight crime and continue their superheroic buddy comedy. Empire writer and co-executive producer Malcolm Spellman is slated to write the series, as Marvel’s biggest and best chracters transition to the small screen. Falcon is another character that fans thought might take on the mantle of Captain America, so it’s interesting that they’ll be put together on a TV show. Tom Hiddleston will also get his own Disney+ series, as well as possibly Vision and Scarlet Witch. 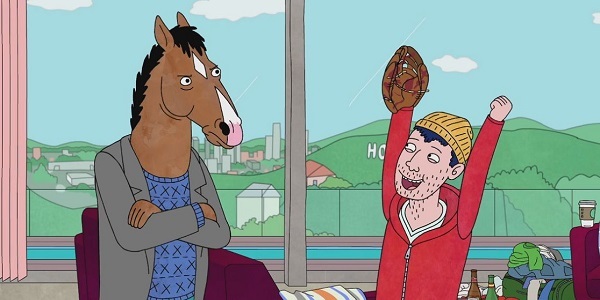 It sounds like Benedict Cumberbatch’s own heart grew three sizes just making the computer-animated movie, which is now open in theaters. The Grinch is based on Dr. Seuss’ 1957 children’s book How the Grinch Stole Christmas! The 1966 TV special — with Boris Karloff voicing the Grinch — is a classic, and tough to live up to. The 2000 film starring Jim Carrey as The Grinch is might not be quite as critically beloved, but it made a ton of money at the box office. Benedict Cumberbatch told CNN he liked the challenge of playing the Grinch, noting that it’s not the first iconic character he’s been asked to play, and he hopes it won’t be the last. His self-confidence is well-earned, as well. He’s already played real-life icons like Thomas Edison, Alan Turing, Vincent van Gogh, and Stephen Hawking; plus fictional icons like Sherlock Holmes, Dr. Stephen Strange, and Smaug.. The Grinch may include a warm message of love and kindness, but Benedict Cumberbatch recently admitted he loves those “cruel” Grinch billboards cropping up around New York and L.A. The actor also explained why his Grinch is an American, instead of going full Boris Karloff with his own naturally sinister British accent. One difference between this movie on The Grinch and previous versions, is we get some backstory on the character. 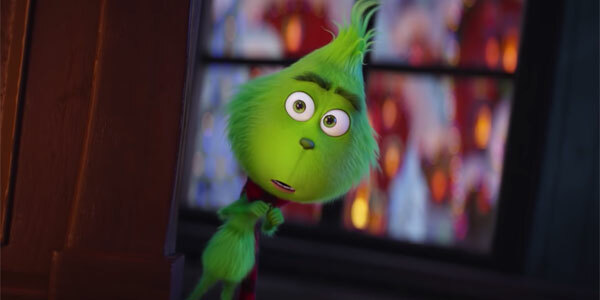 Benedict Cumberbatch’s Grinch is shown to be an orphan, and the star said that isolation leads to his anger and vengefulness. It makes sense that he would lash out during Christmas, which is often a time of loneliness for outsiders. 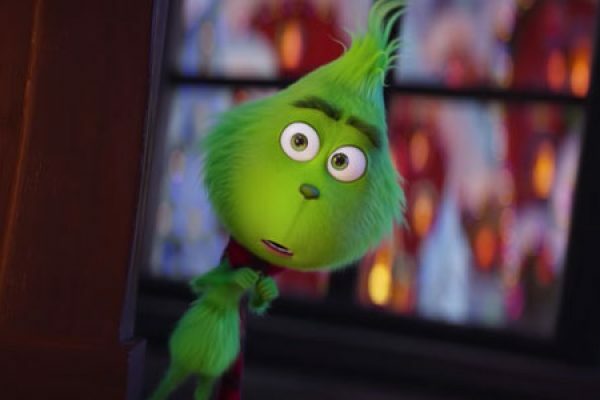 So The Grinch helps fans empathize a bit more with the title character, making the full message of the story all the more poignant. Will it work for viewers? So far, critics have been mixed on the film. Audience reactions are just starting to trickle in, but if you’ve seen the film by now you can share your own thoughts below. Voicing the Grinch must’ve been a nice break for Benedict Cumberbatch — from the darkness of his Showtime series Patrick Melrose to constantly being asked about Doctor Strange’s end game from Avengers: Infinity War to spring 2019’s Avengers 4. His silky voice will next be put to good use December 7 with the Netflix release of Mowgli: Legend of the Jungle, featuring Cumberbatch as (who else?) Shere Khan. 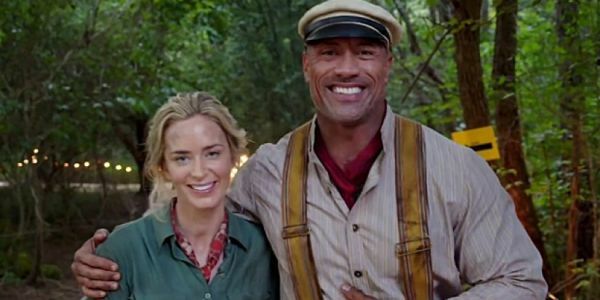 Dwayne Johnson may already be on to his next project, but he’s still hanging out with his Jungle Cruise co-stars. Recently, the hardest working man in showbusiness shared an image of himself on the set of Hobbs and Shaw but he’s not hanging out with Idris Elba or Jason Statham. Instead, he’s chilling with Emily Blunt and Jack Whitehall. Check it out. While the Rock is a serious action hero, he’s rarely the guy in the photo who’s being the most serious, and yet, here we are. Rocky looks stoic, but on his right is Emily Blunt making a funny face, and on his left is Jack Whitehall wearing a weightlifting belt incorrectly. They certainly make for an interesting trio. Exactly why both of them decided to drop by the set of Hobbs and Shaw together isn’t clear. Perhaps this is just part of The Rock’s marketing deal with Disney. In addition to the three actors being in Jungle Cruise together, both Blunt and Whitehall are also in Disney movies this year. Jack Whitehall plays a soldier in the recently released The Nutcracker and the Four Realms and Emily Blunt plays the title character in next month’s Mary Poppins Returns. Dwayne Johnson makes sure to mention these things in his Instagram post, so while it could be that these three actually became close friends on the set of their movie, it could also just part of The Rock’s massive marketing power. The only reason the picture was likely taken on the set of Hobbs and Shaw is simply because The Rock never stops working and that’s the only place where you can catch him. Who cares, it’s a fun picture. It’s such a fun picture that it makes it a little sad that we’re not going to get a chance to see these three on screen nearly as soon as we thought. 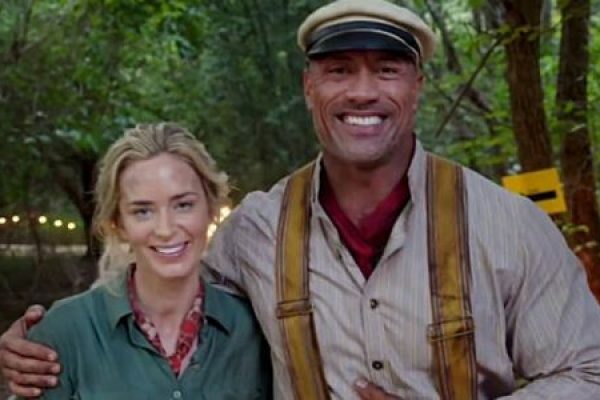 Originally, Disney’s Jungle Cruise was set for release in just under a year, October of 2019. However, it was recently pushed back to July of 2020. This is probably good news for the movie itself. The prime summer release spot means Disney thinks the film will do well there, which means the movie could be quite good. The expectations for a summer movie are still high and Disney wouldn’t put Jungle Cruise in July if it didn’t think the film could compete. However, if it’s that good, it’s that much more annoying that we have to wait. Comparisons have been made between Jungle Cruise and the Pirates of the Caribbean franchise, at least in what Disney is trying to accomplish. Both are action-adventure films based on Disneyland attractions. The first Pirates movie was a pretty massive hit, both commercially and critically, the sequels were only able to achieve success in the latter category. It would seem likely Disney is hoping to do both things well once again. If it is able to be a success on the level of The Curse of the Black Pearl we can be nearly certain this will be the beginning of an all-new franchise. Making a stop-motion animation film is time consuming, but it sure does yield beautiful results. So every time someone like Laika Studios trots out a trailer or some footage for a new project, it feels like a cheerful and beautiful surprise. 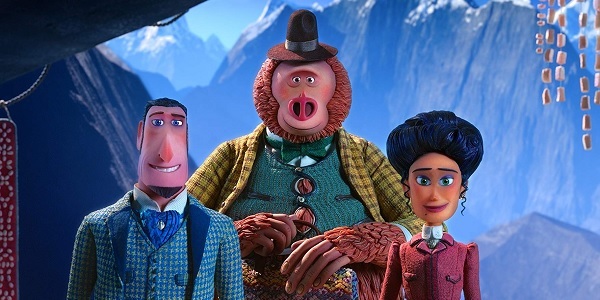 Please enjoy the first trailer to Laika’s latest cheerful surprise, Missing Link. An interesting spin on the theory of the missing link between humanity and its primate ancestors, Missing Link introduces us to Mr. Link, voiced by Zach Galifianakis, a creature that is looking to connect with his family on the other side of the world. But if he’s going to have any chance of succeeding, he’s going to need some help. Enter Hugh Jackman’s Sir Lionel Frost, an explorer that Mr. Link reaches out to personally, in hopes that can assist him in his crossing to his ultimate destination: Shangri-La. While Mr. Link is looking for help, Sir Lionel is looking to make the discovery of a lifetime by providing proof of Mr. Link’s existence. Rounding out the group is fellow adventurer Adelina Fortnight, voiced by Guardians of the Galaxy’s Zoe Saldana. Together, this trio of adventurous characters look to be on the path to great revelation, and a pratfall or two. Right from the beginning, Missing Link shows off the gorgeous visual style and charmingly funny content that the studio behind such hits as Coraline, Paranorman, and Kubo and the Two Strings has become famous for. And in every frame, the magic of stop-motion animation shines through, in the most amazing level of detail. It’s trailers like the one for Missing Link that truly help us appreciate the miracle of quality stop-motion animation. While the trailer certainly goes all in on the film’s gentle, but effective, humor, there’s undoubtedly going to be a strong emotional component to this journey. 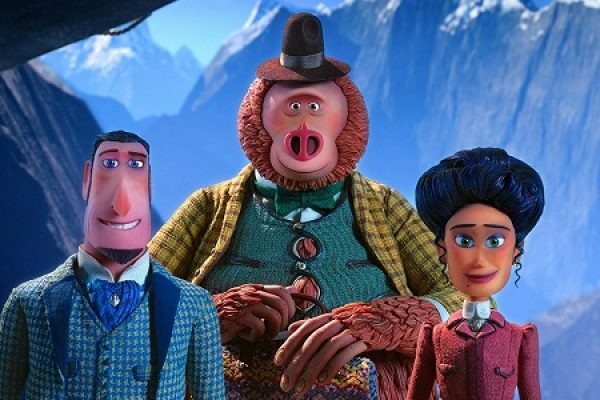 Also starring the vocal talents of Stephen Fry, Emma Thompson, Timothy Olyphant, and Matt Lucas, Missing Link clearly has a lot of surprises waiting for its audience. But for now, the first proper look we’ve been given does promise one thing, and that’s that Laika Studios haven’t lost their touch. Missing Link will make its way to theaters on April 12th, 2019. Should this have your interest piqued, you can feel free to take a look at the rest of the 2019 release schedule, to see what other potential wonders await you. A hero is only as good as their villain, but what is that makes a villain good? Some will say that it’s the motive, which can help make the villain more sympathetic and well-rounded. Most villains will sink to any means to achieve their mission, and this usually involves a master plan, a grandiose chain of events that the villain has sketched out to a tee to ensure that everything runs smoothly. The smarter the plan, the better the story — because it’s a disaster when no one in the audience can actually follow the logic. There’s nothing better than when an airtight plan comes together, but sometimes villain plots are way too complicated to follow. More often than not, this happens in comic book movies and blockbusters with larger than life characters. These antagonists love coming up with the craziest scheme they can, even if it means they could have achieved their goals in much simpler ways. Here are a few villain missions that might have been a bit more complicated than necessary. Loki is the God of Mischief and loves concocting schemes, but maybe he should have stuck to turning into snakes instead of leading a war. In The Avengers, Loki wants to bring the Chitauri to Earth and conquer it. Simple enough, right? However, Loki takes a major detour to tear apart the Avengers, the only people that can feasibly stop him. The problem with that is the Avengers aren’t a team at that point, and they only come together because Loki announced his intentions theatrically to Nick Fury right at the beginning of the movie. Then he kept pushing buttons (instead of, you know, killing them), until they were all pissed off enough to unite under one flag. Loki’s a diva, so it plays to his character, but with Thanos breathing down his neck, he probably shouldn’t have gone the complicated route. Through the first half of the Harry Potter series, Voldemort’s mission is cut and dry: come back to life. After that: take over the world. I don’t think he ever really thought out that second part, but he sure had time to plan the first half. In Harry Potter and the Goblet of Fire, Voldemort finally achieved that goal, and all it took was a mix of intricate planning, luck, and sheer happenstance. Voldemort’s resurrection depends on a magical ritual that requires Harry’s blood. He decides the best way to get this is to manipulate the Tri-Wizard Tournament into letting Harry compete, cheat so that he makes it to the final round, hope that he wins the tournament, and then teleport him via portkey to a graveyard. There was no guarantee Harry would reach the portkey first or that he would survive the tournament — even with help. Voldemort had a man on the inside the entire time (Barty Crouch disguised as Mad-Eye Moody), so why couldn’t Barty just kidnap Harry? Voldemort lived IN Hogwarts for years on the back of some guy’s head, so Hogwarts security isn’t the best. Batman v Superman: Dawn of Justice is almost legendary now for how overcomplicated it is, and a lot of that falls on the shoulders of Lex Luthor. 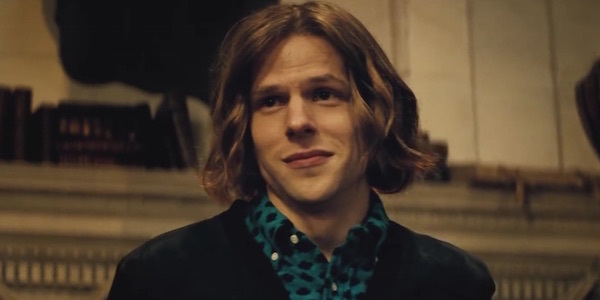 Luthor likes to say he’s the smartest guy around, but complicated does not equal intelligent. In order to get Batman and Superman to destroy each other (the reasons for which are just as complicated), Lex is revealed to in some way be responsible for almost everything that happens prior to them fighting. It’s hard to list every detail of his plan but some of the highlights include: Framing Superman for the murder of an African village; hire criminals to kill people with bat-brands in prison; bribe an African villager to give a false testimony so Congress will call Superman to testify; blow up the courtroom by smuggling in a bomb in a wheelchair he gave a disgruntled WayneCorp employee who wasn’t receiving his disability checks because Luthor blocked them; invite Clark Kent and Bruce Wayne to the same gala and introduce them; kidnap Superman’s mom; manipulate a senator to giving him access to the Kryptonian ship; turn Zod’s corpse into Doomsday JUST IN CASE none of the above works out. It’s insanely convoluted with tons of holes in it, but it makes BVS one unique movie. For a guy who likes to say that he doesn’t have a plan, the Joker sure thinks things through. The Dark Knight’s take on the classic villain was an instant revelation, but that doesn’t make the character’s plan in the movie any less convoluted. The Joker just wants to watch the world burn, but he’ll do everything he can to make that happen. For one thing, he plans to be captured by the police, having planted an escape route through a cell phone stitched into a prisoners stomach. He also sends all of Gotham into a panic though intricately timed attacks against city officials with the ultimate goal of forcing citizens to blow each other up. (He even has a backup plan should they not play by his rules.) To cap it off, he manipulates Harvey Dent into becoming Two-Face, which was like a whole mini-plan hiding inside his main one. It’s a lot to keep track of. Lex Luthor just loves a complicated plan. In 1978’s Superman, Lex Luthor (played by Gene Hackman) set out to achieve the most villainous goal of them all: real estate. Yes, all Luthor cares about is buying up a ton of land and profiting from it as much as possible. His big plan is blowing up the San Andreas Fault Line, causing a chunk of the country to fall into the ocean so that land he owns becomes the new West Coast. It’s delightfully over the top comic book stuff, but one can’t help but think that there are other ways to make a buck. In Luthor’s defense, his unnecessary get-rich-slow scheme actually works. Superman fails to stop the missile and has to turn back time in order to stop Luthor. 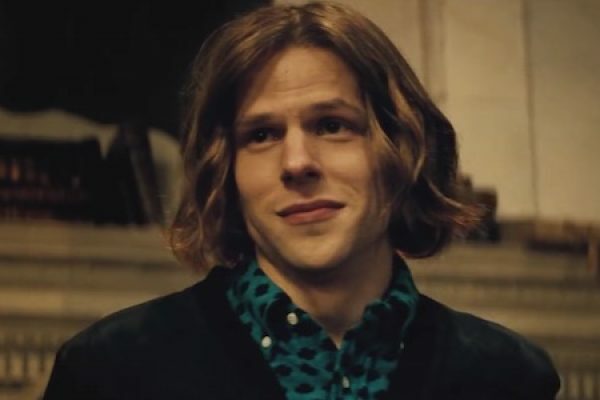 Luthor would go on to have real estate-themed schemes all the way to the soft reboot of Superman Returns, where he created an entire continent with little concern for the vast geographical impacts that would have on the planet he lives on. Zemo builds a very complex plan to take down the Avengers in Captain America: Civil War. Zemo’s plan is proof of just how hard it is to find a VHS tape in this day and age. Much of Zemo’s plan relies on hoping things work out and taking advantage of what’s out of his control. To find the location of this tape, Zemo needs to speak with Bucky and the “best” way to do that was to frame Bucky for bombing the UN, hoping that someone can find and capture Bucky. He then has to replace the chosen interrogator — without wearing a disguise — and hope that no one knows what this guy looks like. After a timed-EMP attack helps him escape, it’s off to Siberia where Zemo lucks out super hard when Captain America, Bucky, and Iron Man all arrive together. I think Zemo was mostly adapting to things that happened after he bombed the UN, but he still went above and beyond to track down 30 seconds of raw footage. It’s almost a given that any movie involving time travel is going to get out of hand, but Terminator: Genisys really pooped the bed. The reboot/sequel/prequel was playing fast and loose with the Terminator timeline by jumping between three different time periods, but it also gave zero shits about logic. In the movie, Skynet turns resistance leader John Connor, the man its been trying to kill for years, into a Terminator. This advanced supercomputer then decides the best use of its new creation is to send him back in time to kill his parents, thus preventing his own birth. That’s dumb on a few different levels, but how does something like this not break the universe in half? If John Connor was never born, then the evil John Connor isn’t sent back to kill his parents… which means that he WILL be born. Then again, John Connor sends his own father back in time to impregnate his mom, so time travel has never exactly been crystal clear in Terminator. When The Walking Dead came to a close with “What Comes After,” the entire fabric of the show had changed, thanks to a time jump and a helicopter ride. 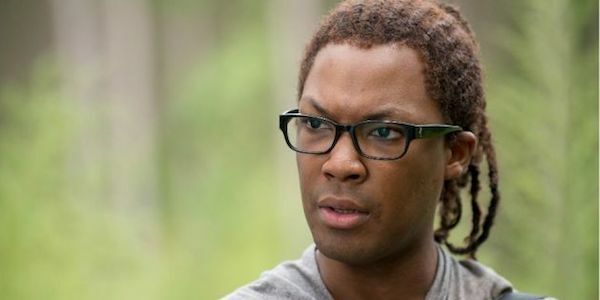 According to showrunner Angela Kang, the latter is indeed the answer to one of the zombie drama’s biggest overarching questions: what happened to Corey Hawkins’ Heath? It turns out Heath actually was part of Jadis’ trade system with the helicopter pilot. Kang says that’s been the plan all along, for the most part. 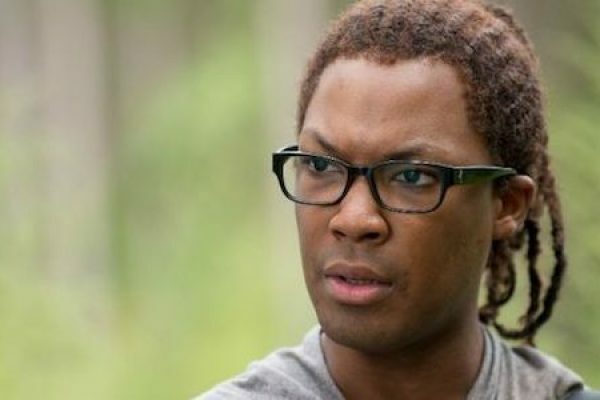 Fans will remember back when Season 6 started up, The Walking Dead introduced Corey Hawkins as the comic fan-favorite Heath. It was a pretty big deal at the time, since Hawkins was coming off of a big win with Straight Outta Compton. But the actor’s career boom was detrimental to The Walking Dead overall, with his casting in 24: Legacy throwing a giant wrench into the works. In the episode “Swear,” one of the series’ more reviled installments, Heath straight up vanished during Tara’s untimely voyage to Oceanside. It hadn’t made much sense at the time, since he hadn’t been shown coming into contact with anyone. Plus, other than the “PPP” key card that Tara found at the scene, Heath’s disappearance never got addressed within the show itself, without any characters voicing concern or questioning what happened. That answer is just as up in the air as everything else, but Angela Kang definitely wants to make it happen. Here’s what she told Business Insider. Thanks to that last-minute capper introducing Magna and her comic book crew, The Walking Dead TV narrative took a massive six-year leap forward. As such, these characters are 180 degrees from where they were in those early Alexandria days, and it’s extremely unlikely that Heath will just pop back around looking for his RV. Yeah, that’s the very same RV that Jadis was driving around in, which was a major clue. If Rick is indeed heading to the same place that Heath was taken, then we might end up seeing an aged-up Corey Hawkins walking around whatever location that will be. (And possibly Georgie and Maggie and others.) But let’s not rule out Heath’s entire ordeal getting showcased for a single standalone special, or even a short-form miniseries. At this point, the live-action character isn’t viewed nearly as favorably as his comic counterpart is, so it’s hard to say how happy and excited fans would be to see Heath return in some way. But even if we never see him again, at least we finally have some confirmation about what happened. The Girl in the Spider’s Web doesn’t reinvent the wheel, but it is a better than average action adventure with a compelling lead actress. It’s been a decade since The Girl with the Dragon Tattoo was first published in English, and eight years since the first attempt at an American adaptation of the characters created by Steig Larsson. In that time, Larsson has passed away and the responsibility of writing future stories for Lisbeth Salander and Mikael Blomkvist has passed to another. Now, the first of those novels, The Girl in the Spider’s Web, has received its own adaptation, and it turns out a lot more than just the cast has changed. The degree to which the tone has changed is clear from the outset. Our opening sequence sees a man having assaulted his wife, clearly not for the first time, after having just beaten the rap for assault on two others. The lights in the apartment go out, and when they return, Lisbeth Salander (Claire Foy) is there, as if from nowhere, like a Swedish Batman. She takes the man off his feet with a rigged up snare and proceeds to steal all his money via her hacking skills, making sure he knows she has blackmail material in case he wants to try revenge. And then, she’s off into the darkness on her motorcycle. While the original Girl with the Dragon Tattoo was a gritty noir thriller that reviewed well, it wasn’t a box office smash. It seems clear The Girl in the Spider’s Web is looking to fix that problem by essentially turning this into an action franchise. Lisbeth Salander, the traumatized loner, has become a superhero vigilante. She’s still a loner and the trauma is still there, but it takes a backseat to the rest. It’s more “character description” than actual character. This doesn’t mean The Girl in the Spider’s Web isn’t a worthwhile film in what it is, it just may not be what many are expecting. The bulk of the plot deals with a former member of the NSA (Stephen Merchant) who developed a piece of software capable of hacking, well, pretty much anything. He’s lost control of the software to the Americans, who he doesn’t trust, so he hires Lisbeth to steal it, because luckily, this piece of software can’t be copied. However, Lisbeth isn’t the only one after the software, and so her stealing it sends not only the NSA after her in the form of Agent Edwin Needham (Lakeith Stanfield), but also the Norway police and a criminal syndicate known as the Spiders. Salander must turn to her old partner Mikael Blomkvist (Sverrir Gudnason) in order to help her protect the one thing keeping the software from becoming active. Even the plot, following a rogue piece of super hacking software, feels like something that belongs in a James Bond movie. And there are other elements that reinforce that. Outside of the always entertaining, but rarely realistic, Hollywood “hacking,” the film has its supply of necessary gadgets and a supervillain with a personal connection to our hero. It’s a long way from the atmospheric murder mystery that made up the bulk of the plot of Dragon Tattoo. There’s really no mystery element at all in the new film. There are a couple of minor twists, one of which I spent the bulk of the movie thinking was a glaring plot hole until it gets filled in at the end as an attempt at a “reveal” moment, but even the movie doesn’t make too much out of either of them. However, once you settle in and accept the sort of movie that The Girl in the Spider’s Web is going to be, it’s an enjoyable adventure. The action sequences are tight and fun. One sequence in an airport where Lisbeth gets to really show off her hacking skills, is particularly well paced, just don’t think too hard about how ridiculous it all is. The supporting actors, while not given much to do, do fine with what they have. Make no mistake, The Girl in the Spider’s Web is the Lisbeth Salander show, which means it’s the Claire Foy show. As it turns out, Clair Foy puts on a pretty damn good show. 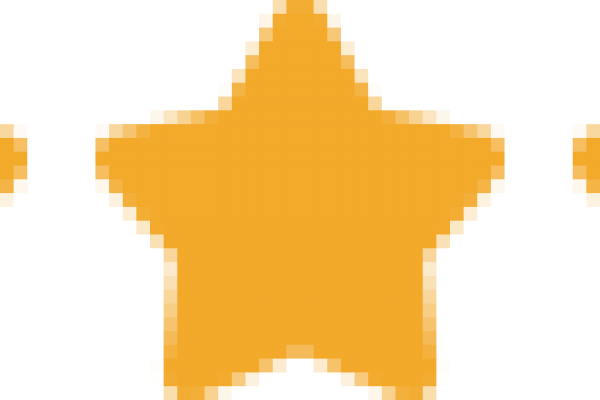 She transforms in the role of Lisbeth and is an engaging action hero. It’s true that many of Lisbeth’s rougher edges, which made her an interesting and dynamic character, have been smoothed over here, and that’s a shame, but seeing a woman take on a major action role like this is still a rare enough occurrence that we’ll celebrate it for what it is. If we are going to get more of these, as seems to be the intention, we could do a lot worse than more Claire Foy. Director Fede Alvarez has shown he’s a capable director handling this sort of material, which will probably cause the numerous other action franchises to put him on the short list for a future job, if he wasn’t there already. This isn’t what we expect from the helmer of Evil Dead or Don’t Breathe, though this movie does include one significant body horror moment that will probably have the more squeamish in the audience getting uncomfortable in their seats. The Girl in the Spider’s Web doesn’t reinvent the wheel, but it is a better than average action adventure with a compelling lead actress. Sometimes that’s all you need. An early publicity image sent out by Ryan Reynolds showed Deadpool sitting in a chair reading a story to Fred Savage, who played the sick kid being told a story in the classic The Princess Bride. The poster shows that will likely be more than a one-note joke, as Fred Savage join Deadpool astride Rudolph for the poster. The movie may be eliminating all of Deadpool’s naughty language, but it certainly isn’t going to be any less hilarious based on this poster. The tagline that joins hte poster says there will be zero F’s given, a reference to fact that one of the major changes that Deadpool 2 will need to make is eliminating all F-bombs. Ryan Reynolds shared the poster on his own Twitter account saying, “The only F word in this movie is Fred Aaron Savage.” I can’t help but think that this won’t be entirely accurate. 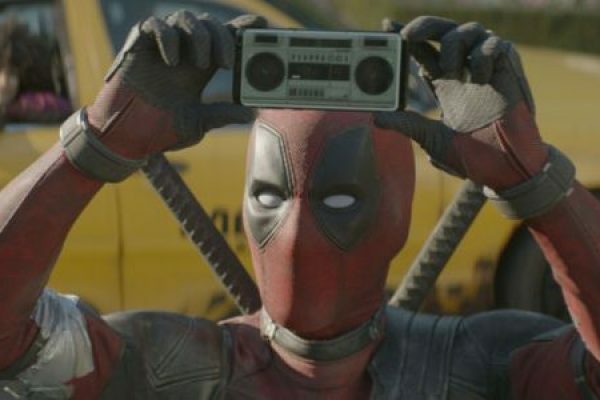 Traditionally, the MPAA will allow one, non-sexual, F-word in a PG-13 film and it seems to be that’s just the sort of thing that Once Upon a Deadpool would take advantage of, and make a point of mentioning they’re going to use it at an opportune moment. The fact that Once Upon a Deadpool is going so all-in on the Princess Bride joke that it will use a, now very much adult, Fred Savage, as the “kid” being told a story is hilarious. You know if Peter Falk were still around he’d be part of this too. 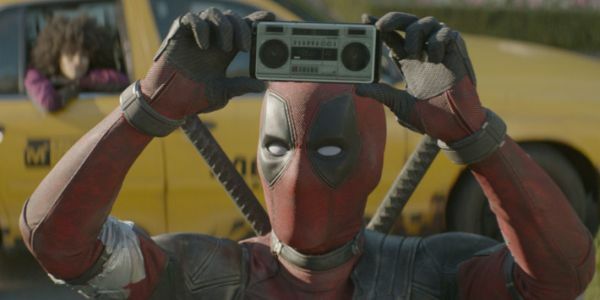 A lot of us who grew up watching The Princess Bride are now the adults enjoying Deadpool movies, and bringing the two together is strangely perfect. Since the framing device for this PG-13 version of Deadpool 2 will parody The Princess Bride, that means that we’re not simply getting a toned down version of the movie. The film will clearly include some new scenes of the story being read just as The Princess Bride did, along with some all-new narration. Fans of the Deadpool movies will certainly want to check out this new version just to see the new material. Just because the merc is going to watch his mouth doesn’t mean he won’t still be hilarious. As the poster announces, December 12 will be the day that Once Upon a Deadpool arrives in theaters. It will be interesting to see if this film does box office on par with a new release or a re-release, it’s sort of both things, making this a somewhat untested idea, though it’s probably one other movies will consider if it works. The quarterly loss is reportedly the biggest loss the industry has seen, according to research firm MoffettNathanson (via USA Today), and the first time cable and satellite companies have collectively lost over a million subscribers in a quarter. One of those companies, Dish, lost 341,000 subscribers, compared to last year when it gained 16,000 around the same time. While Dish saw a massive exodus, it did gain about 26,000 Sling TV subscribers.